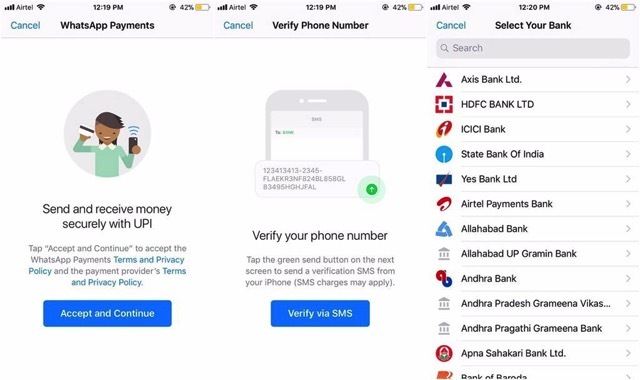 According to a report by TechCrunch, WhatsApp has started testing a new person-to-person payments system in India, that allows users to transfer money to other WhatsApp users, except for merchant accounts. 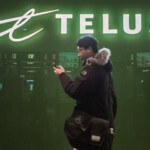 Citing sources familiar with company’s plans, the report adds that the feature is currently in beta and hasn’t been publicly announced due to its very limited roll out. WhatsApp, which has been working on support for a payments feature for quite some time, will take advantage of Unified Payments Interface (UPI) and include support by a number of Indian banks, including State Bank of India, ICICI Bank, HDFC Bank, and Axis Bank. As reported by some beta testers, the functionality is now live with a large list of supported banks displayed in the WhatsApp user interface. Users who have gained access to the new functionality see a payments feature appear in their WhatsApp Settings menu. “Users must then configure the feature by first verifying their phone number via SMS and choosing a bank. The option to send a payment is then available from the main WhatsApp interface, in the same area where you can also share a photo, video, file, contact or location into your chat session. WhatsApp’s support for payments is highly anticipated because of its huge popularity among users in India, the company’s largest market, with over 200 million daily active users.